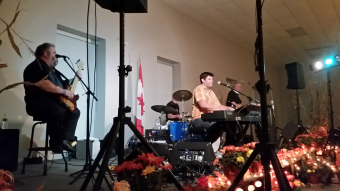 Rock to the great sounds of favourites from the 60's, 70's and 80's with Joe and his band! Lots of draws, with a grand prize draw featuring a wheelbarrow and it full of booze! The turkey snitzel was a big hit last year and is being brought back again this year, along with good old Octoberfest Sausage - Only $5.00 each! Cash bar - Great music - and a great time!